The Kings breach the Royal fortress! ALL OVER! Kings XI Punjab beat Rajasthan Royals by 14 runs. Geez it has been one helluva match. So many twists and turns, ebbs and flows but it was the visitors, who held their nerve to prevail in their opening fixture. OUT! SIX and OUT! Stokes tries to repeat what he did the previous ball, but Mujeeb is up to the challenge, dragged the length a touch and Stokes couldn't get all off it. OUT! Samson miscues a big hit down the ground and Ashwin settles under it to complete the catch. Ashwin is pumped and so is Curran. KXIP are back in it and how! OUT! KL Rahul grabs a spectacular diving catch to end Smith's stay and the former Australian captain becomes Curran's maiden wicket in IPL. Curran slanted it full and across and Smith tries to arc back and slice it over covers, KL Rahul hares across the turf and puts in the dive to pull off a sensational catch. OUT! Controversy erupts! R Ashwin has ran out Buttler even before he has bowled the delivery. Often called as 'Mankanded', Sunil Gavaskar would prefer it to be called 'Browned'. Buttler is absolutely livid.Ashwin and he are involved in a heated arguement. The appeal is upheld. There is a lot of pointing. Replays confirm Buttler left his crease but doubts over Ashwin waited for the batsman to walk out of his crease during his delivery stride remain. Buttler has to walk but he unleashes what do not seem pleasant words. Tragic and controversial end to what has been a fabulous innings. OUT! R Ashwin gets his opposite number! Kings XI skipper has delivered just when his team needed. It was the carrom ball and Rahane was trying open the face of the bat and run it down through slips, but ends up playing inside the line of the ball, expecting the ball to come in. The off pole is uprooted and the visitors celebrate. FIFTY! Buttler raises a fine half-century. Lifts the length ball outside off over mid off to get to his half-century. Reaches there in 29 balls. OUT! Stokes gets another one. Wide of off but there was no pace on it as Pooran tried to clear the long-on boundary but could only find the fielder. Pooran c Rahane b Stokes 12(14). KXIP: 167/4. WICKET! Stokes finally gets Gayle. He was in full flow as he went for another aggressive shot as he pulled Stokes to mid-wicket but Tripathi did very well. Timed his jump perfectly to take the catch. Gayle c R Tripathi b Stokes 79(47). KXIP: 144/3. OUT! Gowtham strikes to remove Agarwal. He was looking to go big. Cleared his front leg for a big hit over mid-off but Kulkarni takes a sharp catch at the ropes. Somehow manages to not touch the boundary. Agarwal c D Kulkarni b Gowtham 22(24). KXIP: 60/2. Rahul c Buttler b D Kulkarni 4(4) [4s-1]. KXIP: 4/1. R Ashwin: It's a new season and we have new hopes. Don't think the wicket will change much, but we were also looking to bowl first. As far as this bunch goes, they are very keen, and there is no baggage from the past, so we don't care about the old records. Ajinkya Rahane: It's important to start well, and the preparation that we have had has been fantastic. We need to start well, get some momentum, and stay in the moment. That's all folks end of a very heady game, which has spilled into Tuesday and that is going to happen for the next month and a half. As usual thank you for your company. Will see you tomorrow for the Delhi Capitals vs Chennai Super Kings game, both the franchises started their campaign with a win, so do tune into what is surely going to be an interesting contest. Gayle: This is a big ground to be honest. 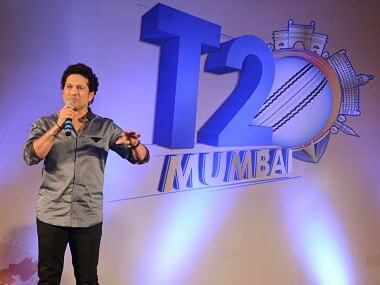 I have been in a good form England series and it's good to start IPL on a positive note. To get some runs on the board upfront was good. Good win overall. Sometimes some people will write you off but It's still early days and I'm enjoying my cricket. 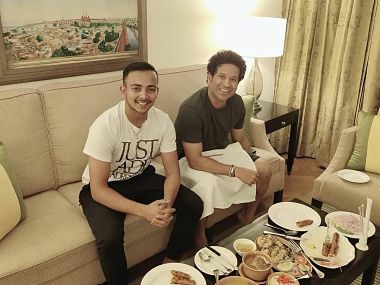 Sarfaraz got some runs and that is very important for us. The youngsters have got my back and I will go after it. R Ashwin: We knew after six overs it is going to slow down so credit to bowlers on how they bowled. I have been working on a lot of variations so I am pretty happy that it worked. No really argument on Buttler's decision, its pretty instinctive. I was not even at the crease and Buttler just left the crease. We ended on the right side of the coin, but I definitely think that those are game-changing moments. Sam had a bad day with the ball, but he came back well. Ajinkya Rahane, Rajasthan Royals captain: I thought we were batting really well. Especially Buttler. I thought with 39 required off 24 balls we would get there but the I think Kings XI bowled really well during the last three overs. When you are chasing 180 plus, someone has to go really hard. Sadly we aren't allowed to mention on the controversial issue (mankanding of Buttler) surely the match referee will have a look. We will take it sportingly and move forward. Jofra has been bowling really well for us. This is KXIP’s first victory at Jaipur in IPL against Royals out of six encounters. The game appeared to be slipping out of its hands when Jos Buttler was in charge of the Rajasthan Royals’ pursuit of 185-run target but Kings XI Punjab clawed back magnificently after its skipper and off-spinner, R Ashwin, ‘Mankaded’ the dangerous Buttler. It was perhaps the only way Buttler could be dismissed tonight. It was a signal for Kings XI Punjab to claim wickets by the heap, though it must be said that KL Rahul’s effort to catch Steve Smith at extra cover was another huge moment. Rajasthan Royals has only itself to blame for not managing the chase after being on top in the first half of its chase with Buttler’s half-century laying a grand platform. The home side lost out when Ben Stokes tried to hit Afghanistan spinner Mujeeb-ur-Rehman out of the ground a second time and ended up skying a catch. Rajasthan Royals needed someone to approach the rest of the chase with a calm mind and it did find that batsman to see the team over the line, especially after the best bowler of the day Ashwin, had run out of his quota of overs. FOUR! Kulkarni is able to crunch a drive through covers. However, it is too little too late. Perfect penultimate over from Shami. Nailing the yorkers and varying the pace when needed. Royals continue to crumble and now need 21 and a miracle to win the game. Kings XI Punjab appeared to have turned around a match that was slipping from its hands, running Jofra Archer out after he was involved in a mix up with K Gowtham in the penultimate over. With five wickets collapsing in a hurry, the Rajasthan Royals chase has all but come off the wheels. Ankit Rajpoot followed that run out up with a caught and bowled dismissal of Jaydev Unadkat. The home side will wonder why Ben Stokes had to chance his arm once too often against Mujeeb-ur-Rehman when the smarter option would have to play the rest of his deliveries out with risking it after he had hit a massive six. Ben Stokes’ fall in the 18th over one ball after clouting Mujeeb-ur-Rehman for a six left Rajasthan Royals’ chase in disarray. The spinner deceived the big hitting batsman with a googly and the skyer was taken by substitute Karun Nair at long-on. Rahul Tripathi drove a catch off the spinner to Ashwin at mid-on and Rajasthan Royals was curtailed to 156 for six in 18 overs, four wickets falling in the span of nine deliveries. The home side was left with 27 runs to get in the last two overs. SIX! Ben Stokes is off and running. Gets down on one knee and smokes it over mid wicket for a massive six. KL Rahul ran a long way from towards the extra cover boundary to dive and complete a fine catch to cut short Steve Smith’s innings on the Australian’s IPL comeback. Two balls later, Sanju Samson skyed a catch to Ashwin. It will need Ben Stokes to play a few lusty blows for Rajasthan Royals to cross the line. Pretty eventful over that from Curran. He had no wickets for 48 runs off his first three overs. Here he comes and bowls perhaps the match turning over. Giving away just four runs and picking the wickets of two set batsmen. To counter Smith's shuffle across the stumps, Curran bowls a very full delivery to Smith, which is followed by a loud appeal for a leg before. After it was given not out Ashwin challenged the decision only to be overtunned because the according to UltraEdge there was some bat involved. However, it doesn't matter as Smith is out caught two balls later and soon after Samson followed. Besides the length ball that Samson struck for six. Shami sends down a very good over. RR take 11 runs off it and now the equation is 39 runs needed off 24 balls. The match has all the makings off it going down to the wire. 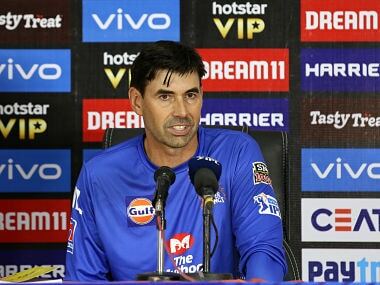 Rajasthan Royals took a while to overcome the shock of Kings XI Punjab captain and off-spinner R Ashwin doing a ‘Mankad’ to halt Jos Butter’s dominance but Steve Smith punished Sam Curran’s left-arm pace to leave the home side needing 10 runs an over in the last five overs to complete its chase of 185 for victory. Smith looked a bit out of touch when he was unable to put away successive ‘free hits’ off Ankit Rajpoot in the 14th over but he pulled Curran to square leg and flicked him wristily for a six to take Rajasthan Royals to 135 for two in 15 overs. With Sanju Samson placing a price on his wicket at the other end, the home side can still fancy its chances of picking up full points. SIX! Stunning! Samson gives himself some room and pumps it down the ground over long off for six. Such a clean strike. Curran to Smith is probably going to on our telly for sometime later this year during the Ashes, but in the shortest format, Smith has the early bragging rights. After a slightly rusty start, Smith is gradually playing some really good shots. The flick for a six was mind blowing. Royals need 50 off 30 balls. SIX! How did he pull that off?! Smith shuffles slightly across his wickets and unfurls a stunning flick over mid wicket. Not a big backlift, neither did he use a lot of muscle. All wrists and supreme timing. FOUR! Smith gets down on his knee and slogs it to mid wicket fence. First boundary for Smith. Bizarre end to Buttler's innings and look who walks in... Steve Smith is in. RR will need maintain their cool after what has unfolded. Chase is still on. 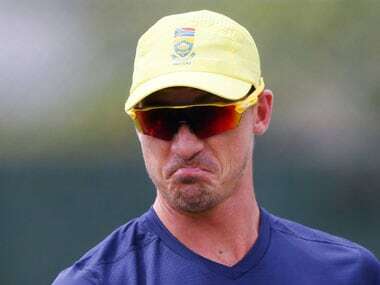 The world waits to see the return of former Australian captain, can he be the hero in his first IPL game after the ban? This is the first such instance of a player has been mankaded in IPL - Jos Buttler by Ravichandran Ashwin. Rajasthan Royals star Jos Buttler’s immense maturity was on display through the middle-overs when he played out Kings XI Punjab skipper and off-spinner R Ashwin with calm diligence. His influence over Sanju Samson was also in evidence as the second-wicket pair handled the spinners, Ashwin and Mujeeb-ur-Rehman with a sensible approach. It needed Ashwin to ‘Mankad’ Buttler out at the end of the 13th over. Buttler walked away angry after the TV umpire ruled him out after a knock of 69 (43 balls). It will be a dismissal that will be debated for a while after Buttler suggested that Ashwin appeared to halt in his bowling stride and vent his frustration. At 110 for two in 13 overs, Rajasthan Royals still has its nose ahead as Ashwin has completed his quota of four overs (one for 20). Steve Smith joined Sanju Samson (14 off 15 balls) with Rajasthan Royals needing 75 off seven overs. Jos Buttler continued his dominance of the Kings XI Punjab attack as he kept Rajasthan Royals’ pursuit of 185 for victory on track. His 64 off 35 balls (10 fours, two sixes) energised the stands in the Sawai Man Singh Stadium as Rajasthan Royals reached 96 for one at the halfway stage. He took Ankit Rapoot on in the 10th over after a run of three economic overs. Sanju Samson, who walked in at Ajinkya Rahane’s fall, was happy to rotate the strike for Buttler to assert his class. Rajasthan Royals held the upper-hand after 8 overs in the chase. 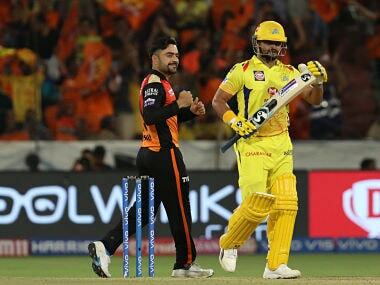 With the track, not playing true, Buttler’s batting made it Rajasthan Royals’ game to lose. 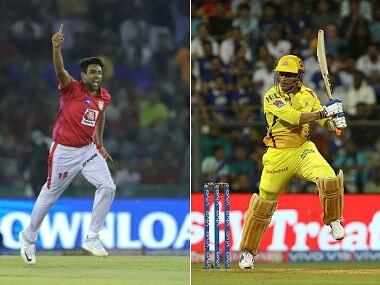 Kings XI Punjab was left hoping that its spinners would deliver a couple of wickets soon. Ashwin brings Mujeeb back into the attack and he slips in a good over. So the Kings XI have managed to apply the brakes somewhat. Now they need a wicket. Required rate inches to 10. Ashwin is the only bowler who is able to contain the batsmen and keep the scoring in check. He needs couple of good overs from the other end to map Kings XI's fightback. Which bowler will put their hand up? He completes his third over giving away just three singles. He is yet to concede a boundary. Buttler continues to toy with the field and the bowler. KXIP continue to bleed fours and at the half way stage the Kings XI are closing in on 100 having lost just one wicket. Kings XI Punjab restored some balance in the proceeding through R Ashwin’s off-spin and Ankit Rajpoot’s fast-medium bowling soon after the power play. With skipper Ashwin castling his counterpart Ajinkya Rahane at the start of the ninth over for 27 (20 balls), Kings XI found the breakthrough that it was looking for. But at 78 for one in 8.1 overs, with Jos Buttler unbeaten on 51 off 29 balls, Rajasthan Royals will have to bat poorly to lose the game from here. The chase of 185, with Buttler in ominous form, appears to be tilted in the home side’s favour but it will have to reckon with playing out the remaining two overs from the visiting captain and scoring off the other bowlers. Samson comes to the crease at number three. Buttler seems to have decided not to go after Ashwin and perhaps play him out. Five runs and a much-needed wicket for KXIP in the over. Ankit Rajpoot nips the ball around, gets a cross seamed delivery to zip past Buttler's edge, shows some agression after nailing a yorker. More importantly bowls three dots to Buttler but Buttler has the last laugh with a boundary off the final ball to reach his fifty. 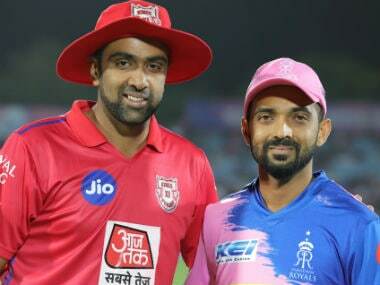 IPL 2019, RR vs KXIP, Today's Match Preview: The Rajasthan Royals (RR) and Kings XI Punjab (KXIP) are set to begin their respective campaigns on Monday when they lock horns at the Sawai Mansingh Stadium in Jaipur in the fourth match of the Indian Premier League 2019. The Royals made a positive comeback to the league after serving a two-year suspension along with Chennai Super Kings (CSK), reaching the playoffs of the 2018 edition under the leadership of India Test vice-captain Ajnkya Rahane. The Jaipur-based franchise won the inaugural edition of the league back in 2008 under Shane Warne's captaincy, and have since then reached the last four on three different occasions. The Kings XI underwent a change in leadership in 2018 after Ravichandran Ashwin was brought on board from the now-defunct Rising Pune Supergiant (RPS). After getting off to a cracking start in the 11th edition of the league, winning five of their first six game, KXIP underwent a slump and failed to arrest the slide, finishing seventh in the league, just two points ahead of the bottom-ranked Delhi Capitals (who went by Delhi Daredevils before the 2019 edition). CSK, DC and Kolkata Knight Riders (KKR) have so far collected their first points of the season. The MS Dhoni-led Chennai outplayed southern rivals Royal Challengers Bangalore (RCB) in the opening game of the tournament, winning by seven wickets. In the first double header of the season that followed, KKR and DC emerged victorious with wins over Sunrisers Hyderabad (SRH) and Mumbai Indians (MI) respectively. 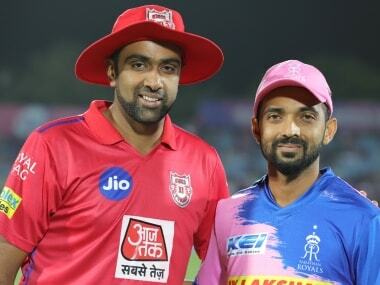 Kings XI Punjab Team 2019 Players list: Chris Gayle, Lokesh Rahul(w), Mayank Agarwal, Karun Nair, David Miller, Mandeep Singh, Nicholas Pooran, Andrew Tye, Moises Henriques, Ravichandran Ashwin(c), Sam Curran, Mohammed Shami, Mujeeb Ur Rahman, Varun Chakravarthy, Murugan Ashwin, Simran Singh, Sarfaraz Khan, Ankit Rajpoot, Hardus Viljoen, Arshdeep Singh, Darshan Nalkande, Agnivesh Ayachi, Harpreet Brar. 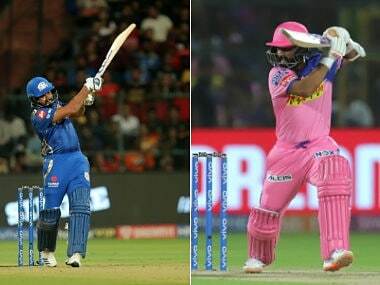 Rajasthan Royals Team 2019 Players list: Ajinkya Rahane(c), Steven Smith, Jos Buttler(w), Sanju Samson, Rahul Tripathi, Ben Stokes, Jofra Archer, Stuart Binny, Shreyas Gopal, Jaydev Unadkat, Dhawal Kulkarni, Ish Sodhi, Varun Aaron, Krishnappa Gowtham, Shashank Singh, Liam Livingstone, Shubham Ranjane, Ashton Turner, Riyan Parag, Mahipal Lomror, Oshane Thomas, Sudhesan Midhun, Aryaman Birla, Manan Vohra, Prashant Chopra.